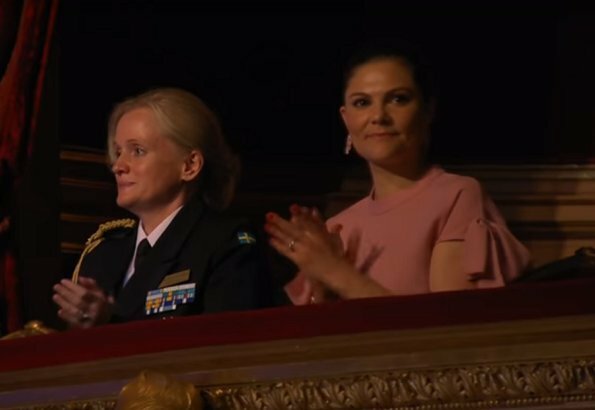 Crown Princess Victoria of Sweden attended "Birgit Nilsson 100 years" Jubilee concert held at Stockholm Royal Swedish Opera on May 18, Saturday. Märta Birgit Nilsson lived between the dates of May 17, 1918 - December 25, 2005 and specialized in opera works of Wagner and Richard Strauss. She was a Swedish dramatic soprano. Theatre used to be a place where everyone in the audience wore their best. Everybody tried to be dressed up. Theatre, a place where we celebrate the divine gift of arts, which has not been given to everyone. 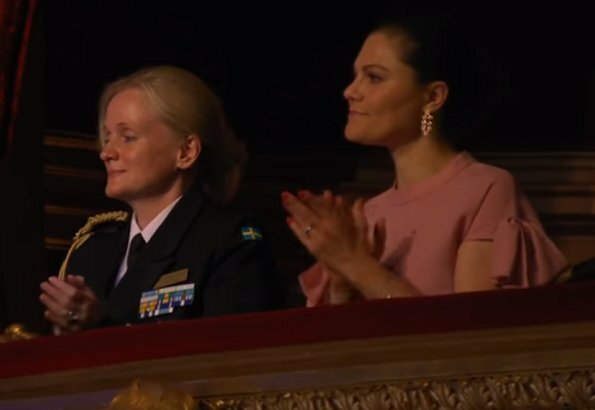 On a special occassion like this 100 year celebration, it is very sad to see, that the Crown Princess didn't make any effort in her sartorial choices. It stands in stark contrast to her choice of the exquisite Oscar de la Renta silver and flower dress for an afternoon meeting. This is a wonderful colour on Victoria! 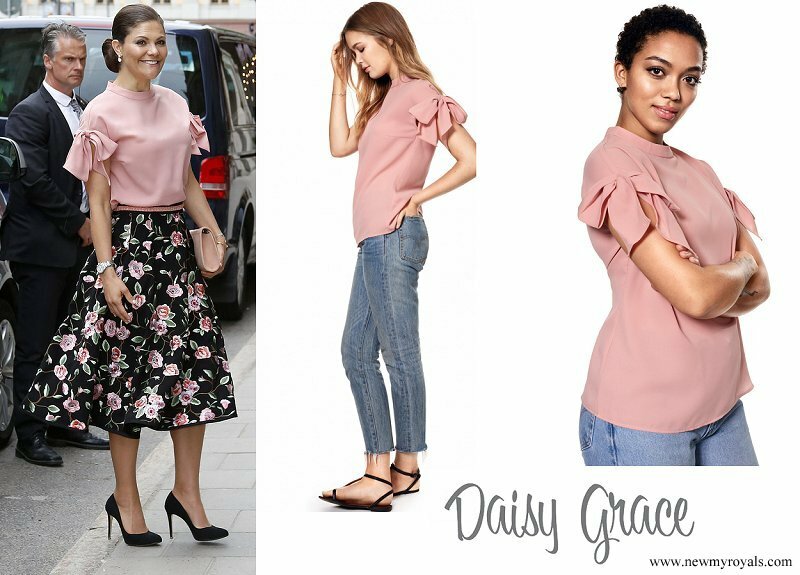 Victoria looks good the blouse may look better with different sleeves. Well put together. Very pretty outfit - elegant but somehow relaxed. Love the pink with the black.